Here’s an awesome little jailbreak tweak that you might find incredibly useful. 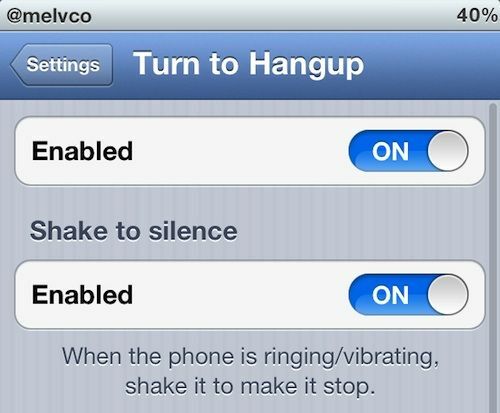 It’s called Turn to Hangup, and as its name suggests, it instantly dismisses incoming calls when you place your iPhone on its face. Yes, I’m aware some Android handsets have had this for sometime, but now the iPhone has it, too — courtesy of Cydia. Once installed, Turn to Hangup can be accessed via your Settings app, where you can toggle it on or off. It doesn’t just dismiss incoming calls, either; shake your handset and it will also silence your ringer and stop your iPhone from vibrating — without sending the caller straight to voicemail. This is a feature that’s likely to take a big of getting used to. 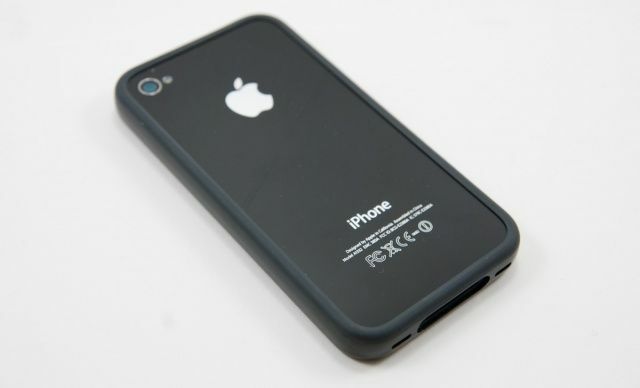 For example, I know I would personally forget about it at first and place my iPhone on its face accidentally, dismissing calls I was meant to just ignore. But once you’ve gotten over that, it’s probably very handy. You can find Turn to Hangup now in the BigBoss repository within Cydia, and it’s completely free.